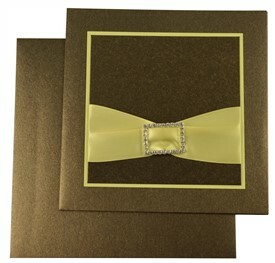 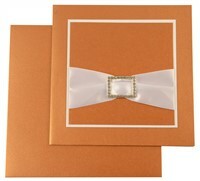 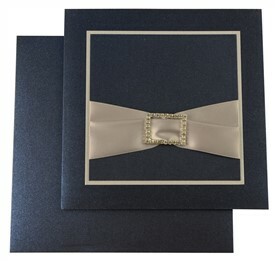 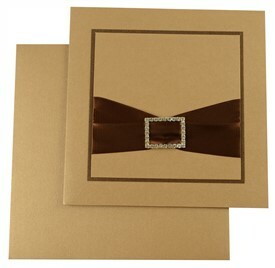 D-6525, Copper Color, Shimmery Finish Paper, Ribbon Layered Cards, Designer Multifaith Invitations. 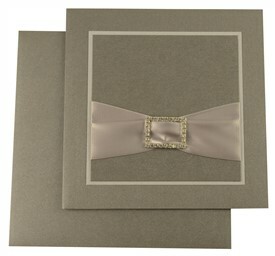 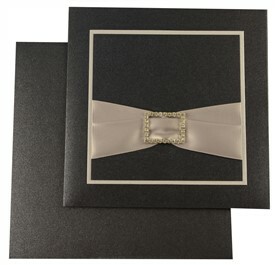 The front of this docket style card has 2 layer paste-up with 5cm matching satin ribbon holding the rectangular broach. 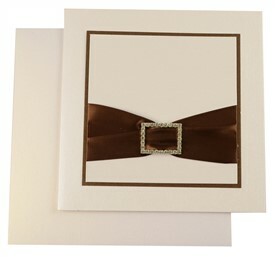 Inside left has pocket to hold any extra add on cards. Envelope is plain. 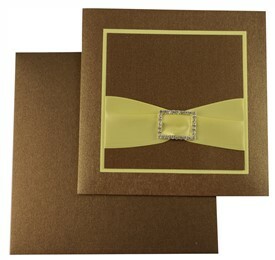 Silk Screen Printing in Bronze color matching to card.